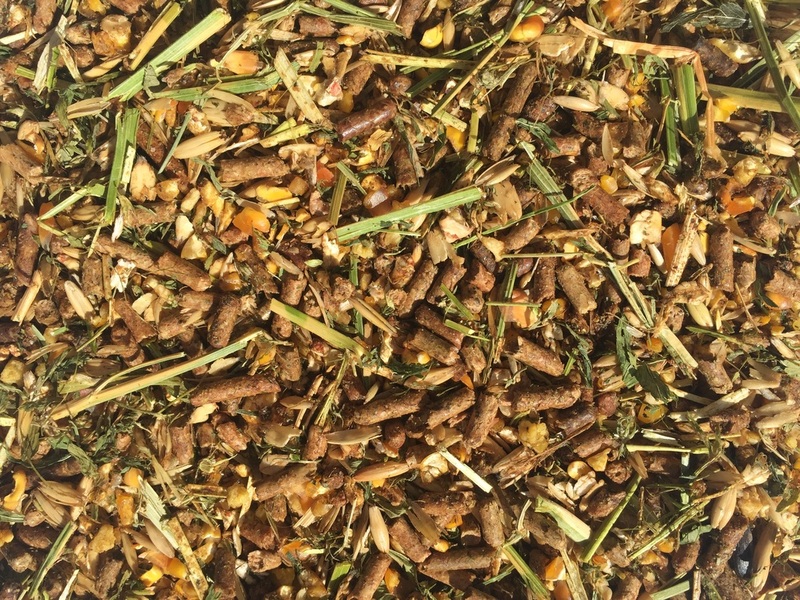 Low protein feed for mares on high protein pastures and/or hay sources that receive adequate levels of concentrated feed per day. A palatable mix for broodmares during pregnancy and lactation that need to be kept on high protein pastures. Good pastures normally have a high protein content, but lack in minerals and trace minerals. The mare's milk yield is dependant not just on genetics but also on energy and nutrient intake during pregnancy and lactation. It is therefore very important that mares are fed a balanced ration. This ration contains calcium, phosphorus, magnesium, copper, manganese, zinc, selenium, organic selenium and biotin for the development of strong bones, joints and hooves. The selenium, zinc, copper, manganese, vitamin E and vitamin A improves the fertility in breeding mares and spermatogenesis in stallions. Feed dry mares 2 - 3 kg, pregnant mares 3 - 4 kg, lactating mares 6 - 8 kg, yearlings 4 - 6kg daily according to body weight, condition, reproduction stage and growth rate, with high protein hay and/or pastures.